Education: Suny Optometry O.D. degree 2001 Brooklyn college B.A. degree in psychology Internships: East New York Medical Center 9/00-12/00 Brooklyn VA Hospital 1/01/4/01 Harry Wachs vision development practice, Washington DC 5/01-6/01 Professional statement: Doctor Lisitsyn practices primary eye care.His offices are equipped with state of the art opthalmic instruments for treatment and diagnosis of wide range of ocular conditions. He specializes in soft and hard contact lenses fitting, including keratoconic fits. Doctor Lisitsyn also proficient in pediatric eye care, vision therapy evaluations and treatments of amblyopia as well as other vision dysfunctions. Our practices goal is to provide professional, yet personal care and to attend to every need of every patient we see. Wait time was ridiculously long and walk ins were taken before me. Great doctor. I know things happen but the wait was really long. Overall the staff is very sweet and helpful. I will continue coming here as a patient. Highly recommended! The staff were excellent,very friendly and made me feel very comfortable and were very helpful. It actually was a delightful appointment. 5 stars for staff!!! Dr. Lisitsyn was fast yet VERY thorough. This will be were I go for the restof my life, I need not go any where else. They took care of my needs,questions and I was very impressed with the way appointment went. Couldnt be happier,wish all my appointments were like them!! I HIGHLY recommend. This was my second visit with Dr. Lisitsyn. He is always pleasant and professional. His staff are always exceptional and very courteous. Everyone in the office is very knowledgeable and you can tell they care about their patients. 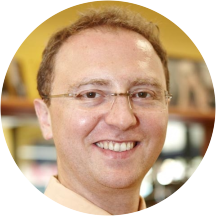 Dr. Oleg Lisitsyn is amazing, very knowledgeable and friendly. He explained everything thoroughly. The wait time was less than five minutes from the time I walked in the door including check in (which is a huge plus!). The office itself offersstate of the art technology to better diagnose optical conditions. The technology they use in this office is incredible. I have never experienced such superb customer service and eye care. The staff is very friendly and accommodating. I more than highly recommend this practice. Awesome experience overall! Pleasant doctors and staff. However, long wait time, despite booking an appointment. It was great everyone was helpful. Don't bother filling out the ZocDoc intake forms because this office will still require you to complete their own forms. I was brought in by a tech for a series of eye tests about 30 minutes after my appt time andthen I saw Dr. Lisitsyn a little over half an hour after those tests. My eyes were dilated at the end of the doc's initial exam and about twenty minutes later I was given a field of vision test by the tech - and I could barely see the flashing lights. When I asked if the dilation was the reason that I was struggling with the FOV test I was told that it had nothing to do with it. When I saw the doc for the dilated exam he commented on my FOV test and said that I should have been wearing my glasses when it was administered. Anyway, Dr. Lisitsyn was very nice, friendly, and thorough (except for the FOV thing, which was just weird). The office staff were lovely even after my grouchy side emerged when I had to fill out their forms. I was impressed that there were bilingual staff who also spoke Spanish and (I think) Russian; very cool. I also ordered new glasses, which I was told will take 2-3 weeks to come in because of some snow that's expected here tomorrow and next week; usually it takes 7-10 biz days. Seems like quite a long wait to me. So that was my experience in a nutshell. You can decide whether or not to go - and if you do then set aside extra time because you'll probably be there a while. The doctor very professional but girls that work there very nasty and unprofessional. The waiting was very long. Prior to my appointment the receptionist called to remind me of my appointment. That was a nice gesture. I went to see Dr. Lisitsyn because my glasses broke and I was experiencing discomfort to bright lights. He checked my eyes andmade me feel confident with his evaluation. Gave me some recommendations for my new pair of glasses and gave me some discounts on my glasses. I could not be anymore pleased with doctor. He was polite, understandable and patient. I recommend him to anyone. They completely overbooked appointments; I waited a ridiculous amount of time even though I was early, had all my paperwork filled out beforehand, etc. Bed-side manner was horrible. When I described an issue I was experiencing, he said "thatmakes no sense". Well...that is not productive. They performed a test prior on me PRIOR to seeing the doctor that required medical insurance (learned at check-out) because it was out of the scope of eye insurance for a regular exam even though I did not ask for it and was very clear that I only wanted a routine eye exam to order contacts. great doctor. the staff was friendly and helpful. the doctor was very thorough and explained everything to me. went very quickly and only waited about 15 mins which was great. Awesome! Really personable and knowledgeable about his work! The office was over-crowded and noisy and they were obviously overbooked, as I sat for more than an hour after my appointment time before I was seen by an assistant, who administered several tests. Then I waited another 15 minutes beforeI was finally seen by the doctor. He was capable and exact with his diagnosis. Very kind and informative. Got right to the point. The service was excellent and the wait time was non-existent. The doctor was very polite and very quick with the check up and answering any questions. It was just a standard eye exam, but honestly, I was just really annoyed about the hour long wait. I would have understood if it were busy, but the receptionist told me the doctor was "out to lunch," which I thoughtwas very rude and inconsiderate of a patient's time. In terms of the exam, perfectly competent, but I won't go back anyway due to lack of professionalism. It was a very thorough exam. I am pleased. Quick and straight to the point. The people were respectful. Wouldnt mind going there to check on my eyes every six months. Dr. came in late in the morning when I had an appointment, and addition to that, the waiting time and area was horrible. One of the machine they used seemed old and not maintained well, I thought. He was very friendly. My daughter and i felt comfortable with him and his staff. There was a sign hanging in the waiting area that stated, "come in as a customer, leave as a friend". That was EXACTLY the feeling we left with. I recommend Dr. Oleg and his office. I would recommend Dr. Lisitsyn to others because he's very thorough in his expertise and takes the time to listen to you when you ask a question regarding your health, unlike other physicians. I would definately recommend him to my friends and others. The visit went fine. Dr. Oleg Lisitysyn was pleasant and answered my questions and I think he was honest with his recommendations.